You are a business associate, and you need to sell your product, jam. 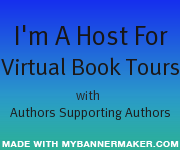 So you set up a sample offering table on the bustling streets of New York. How many sample flavors of jam should you offer? A dozen seems like a good number: they’ll display your company’s versatility and appeal to a broad range of tastes. According to Professor Sheena Iyengar, this line of thinking is wrong. More people will visit the table that offers a dozen flavors, but fewer will buy the product. Why? Because they’ll struggle with indecision. The table with three flavors makes the decision to purchase easier. 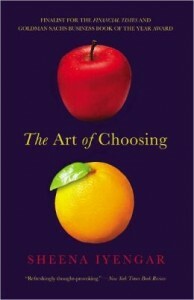 In The Art of Choosing, Columbia University professor Sheena Iyengar explains the psychology of choice by exploring it from a range of perspectives: instinct and survival; cultural norms; individualism; advertising and consumerism; and autonomy. Contemporaries like Barry Schwartz have taken a firm stance and argued that people face far too much choice. But Iyengar is more nuanced in her analysis. In her chapter on advertising, for instance, she argues that a little media manipulation is to be expected, but she expresses concern that such manipulation could infect the democratic system. She points to the fact that where a candidate’s name appears on a ballot can have a profound impact on his chance of being elected. The same is true of the voting locations: research shows that people are more likely to vote for education policies if the voting booths are in a school. Iyengar is not an attack on choice, but a restrained analysis of choice and its problems. She demonstrates how choice itself is culturally contingent, and she makes a compelling case for thinking about it as a biological necessity—a universal language that connects people across cultures. Her book is challenging but deeply rewarding, and I’d recommend it to anyone who has an interest in choice, decision making, psychology, and even business. Angie Picardo is a staff writer at NerdWallet, a personal finance site that’s committed to helping people make better financial decisions, whether it’s choosing the right investments or selecting long-term care insurance. Sheena Iyengar is the S. T. Lee Professor of Business at Columbia University and a recipient of the Presidential Early Career Award. She holds an undergraduate degree from Wharton School of Business and a doctorate in social psychology from Stanford University. Her innovative research on choice has been funded by the Institute for Advanced Studies, the Jerome A. Chazen Institute of International Business, the National Science Foundation, and the National Institute of Mental Health. 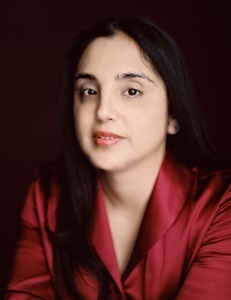 Her work is regularly cited in periodicals such as the New York Times and the Wall Street Journal, Fortune and TIME magazines, and in books such as Blink and The Paradox of Choice. Han Solo – Millenium Falcon Captain. Han Solo and Leia Organa Solo are called in by Lando Calrissian to help prevent a hostile takeover of his mining operation. Once there they discover two monstrous aliens behind it, Aliens who are willing to kill thousands to get what they want. Ben Skywalker and Tahiri Veila are in search of a Jedi who has gone missing. How are all these events tied together. Find out on July 9th when Crucible arrives at a bookstore near you. I really enjoyed this book, and some of the surprises that were in store for me. The newly introduced Alien characters were well written and dripping with evil. If there was one drawback, they rather reminded me of a character I’d seen in The Force Unleashed, but that may have just been in my imagination. There is one major plot then two offside plots involving Luke Skywalker and Ben and Tahiri Veila. However, the plot is so lengthy, and stretches out enough that it eventually involves the entire cast of characters. I liked the new characters, and would look forward to seeing some of them again in future novels. 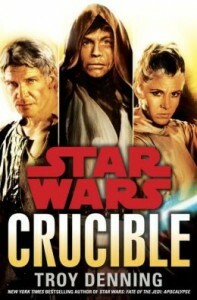 I found it to be a great entry in the Star Wars series and would recommend it to any Star Wars fan. Age appropriateness is older teens and young adults. If you read it, be sure to drop by and let us know what you thought. *Disclaimer* A special thanks goes out to Random House and Netgalley for a review copy of this book. It in no way influenced my review. You can discuss it here or join my facebook page and discuss it there. The quests set up in the previous novel Wards of Faeries are continued as Arlington Elessedil must make a fateful decision on whether or not to follow through on her commitment to the Ellcrys and carry it’s seed, then becoming the new Ellcrys. In the Forbidden, the Ard Rhys and Redden Ohmsford are still out to find their way out. Aphenglow is continuing the search for the missing Elfstones. In the previous novel, Wards of Faerie, I was a bit disappointed that Mr. Brooks was rehashing what seemed like previous storylines. I was completely off base. While the stories are similar, I can see that he’s showing the repetition of history, and in this one, the Chosen one struggles with that responsibility which provides a fresh perspective on it. We see some familiar areas from the previous novels, and Witness the fates of some of the major characters. 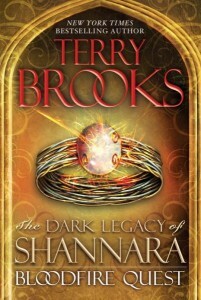 Overall, as a huge fan of Terry Brooks, I found this book totally fulfilling and satisfying, and eagerly anticipate it’s followup Witch Wraith due out July 16th. The characters were beautifully written and I found truly caring for them, and about what they were going through. The thing that really draws me into these books is after 30 years of reading them, each time I pick one up, it feels a little like going home again. I’d recommend it for any fantasy fans but you might want to read Wards of Faeries first, or even The Voyage of the Jerle Shannara series to bring you up to date. For age appropriateness, I’d say teens and young adults due to violent and sometimes dark situations. It’s highly recommended though, and if you decide to read it, be sure to drop back by and let us know what you thought. *Disclaimer* A special thanks goes out to Richard at Random House for a review copy of this audiobook. It in no way influenced my review. You can discuss it here or join my facebook page and discuss it there. 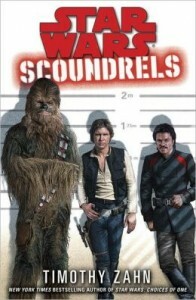 Han Solo is contacted by a man named Eanjer who claims to have been robbed and wants Han to get his credits back. Things aren’t as easy as they sound. 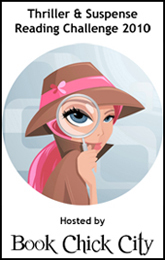 The credits are on an encrypted datacard and very few of the decrypters exist. Han Solo forms a group of thieves and scoundrels in a quest to retrieve these credits, the payoff of which will be quite huge. I looked forward to this story with great anticipation and was not disappointed in the delivery. The story read like an Ocean’s Eleven Heist in the Star Wars Universe. It was quite fun to see Han Solo and Lando Calrissian in the environment that made them the men they are. The novel features some relatively new characters that were introduced in the short Novella Winner Lose All. There was also the first view of some characters that we will see much more of in later adventures. The Time Period for this is right after the Battle of Yavin. The characters of course are well developed since most of them have been developed over the course of 40 years now. The plot was very interesting, and it kept me turning the pages to find out what happened next. Overall, I think it was well done, and highly recommend it to the Han Solo and Lando fans out there. Age appropriateness is 13 and over due to cartoon violence and situations. Check it out though if you are a Star Wars fan, or just a fan of heist stories and be sure to come back by and let us know what you think.